Several IOOS RAs, in partnership with NOAA’s Ocean Acidification Program, coordinate regional coastal acidification networks. Each network works with a variety of partners such as state agencies, researchers, industry, tribal members, and concerned citizens to assess how changes in ocean and coastal chemistry is manifested in the region, identify gaps and to develop mitigation strategies. 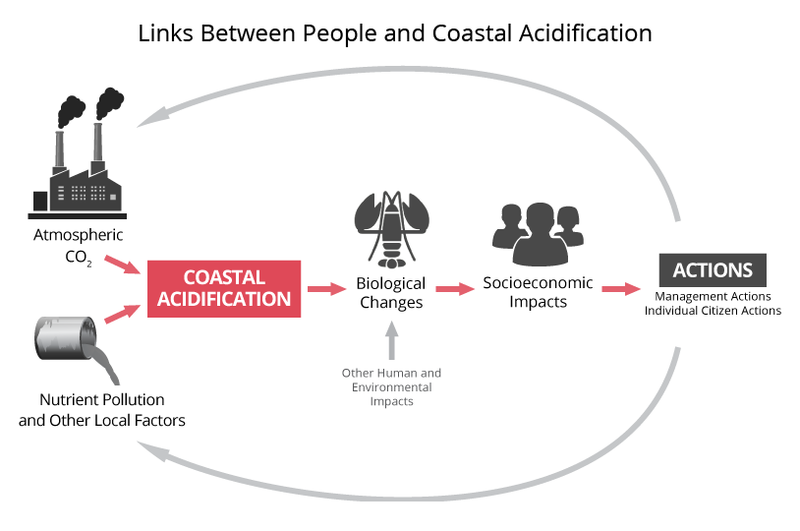 Below is an infographic from the NECAN website that visualizes the connection between people and coastal acidification. The Alaska Coastal Acidification Network is designed to expand the understanding of ocean acidification processes and consequences in Alaska, as well as to identify potential adaptation and mitigation actions. The network connects scientists and stakeholder communities to identify knowledge gaps, recommend regional priorities, share data, and determine best practices for monitoring in Alaska. Visit the website. C-CAN, founded in 2009, is a collaboration of interdisciplinary scientists, resource managers, industry and others from local, state, federal and tribal levels dedicated to advancing the understanding of ocean acidification and its effects on the biological resources of the US west coast. This group’s role is to facilitate and enhance communications and research collaborations among scientists, academia, agencies and industry. Please Note, the west coast RAs participate in C-CAN but do not coordinate it. Visit the C-CAN website. 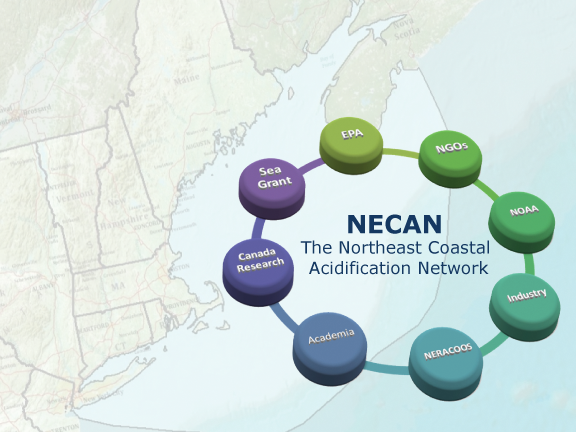 NECAN is a joint agency, scientific, industry partnership established under the Northeastern Regional Association of Coastal and Ocean Observing Systems (NERACOOS) to review and assess the most recent scientific, technical and socio-economic information relevant to the economically important marine organisms potentially impacted by ocean and coastal acidification within the region. NECAN’s focus encompasses the waters from Long Island Sound, Georges Bank, the Gulf of Maine and Browns Bank, and Sable Island Bank out to the shelf-break. The NECAN region represents some of the most valuable marine resource real-estate in the world providing direct economic benefit to at least five states (NY, CT, MA, NH, and ME). Visit the NECAN website. SECOORA and the National Oceanic and Atmospheric Administration’s Ocean Acidification Program facilitated the formation of SOCAN to support and encourage discussions on ocean and coastal acidification in the Southeast region. 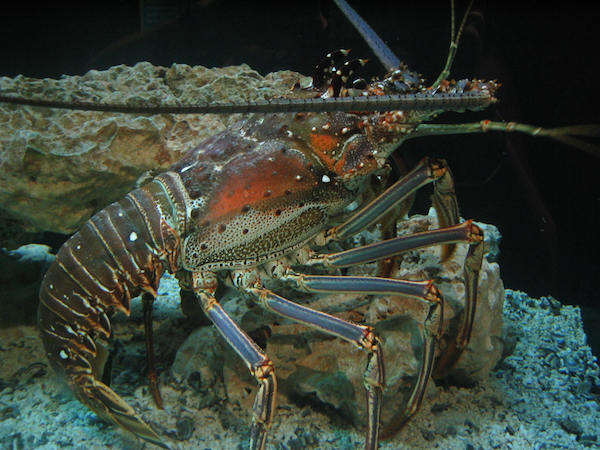 SOCAN seeks to enhance collaborations and communications throughout the region about ocean and coastal acidification regional drivers; approaches to monitoring; state-of- the science; and vulnerable species and ecosystems; among other concerns. SOCAN completed a webinar series exploring how ocean acidification is or may affect marine resources in the Southeast. Visit the SOCAN website. GCAN is a collaboration among the Gulf of Mexico Coastal Ocean Observing System Regional Association (GCOOS RA), the National Oceanic and Atmospheric Administration’s Ocean Acidification Program (NOAA OAP), federal and state agency representatives, resource managers, industry partners and research scientists. The mission of GCAN is to identify critical vulnerabilities of the Gulf of Mexico ecosystem that may be impacted by ocean acidification, foster collaborations to increase ocean observations, and develop strategies to mitigate impacts from ocean acidification. GCAN Website. 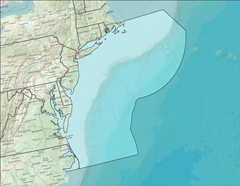 MACAN is a collaboration between the Mid-Atlantic Regional Council on the Ocean (MARCO) and Mid-Atlantic Regional Association Coastal Ocean Observing System (MARACOOS). The initiation of MACAN is supported by the National Oceanic and Atmospheric Administration’s Office for Coastal Management Regional Coastal Resilience Grants Program and Ocean Acidification Program. The Network establishes a nexus of scientists, federal and state agency representatives, resource managers, and affected industry partners dedicated to coordinating and guiding regional observing, research, and modeling of ocean and coastal acidification. MACAN seeks to identify and communicate vulnerabilities and needs, particularly regarding regionally important and economically significant resources in the ocean. The MACAN website development is currently in progress. Learn more about the regional networks from the NOAA OAP website.